Every issue of Unbeatable Squirrel Girl opens with a credits page that is also a look into Doreen Green’s social media life, as she chats with friends and fellow superheroes about her adventures. But those social media accounts don’t just exist in the pages of comics, but on actual Twitter too, and guys, they’re pretty dang good. But what makes this whole thing even more adorable is that the other Twitter accounts that appear in the comic also totally exist in our otherwise-much-more-depressing-version of real life. Doreen’s best friend Nancy Whitehead has her own account, which is, naturally, mostly related to Cats, Thor, or the delightful combination of both, Cat-Thor. 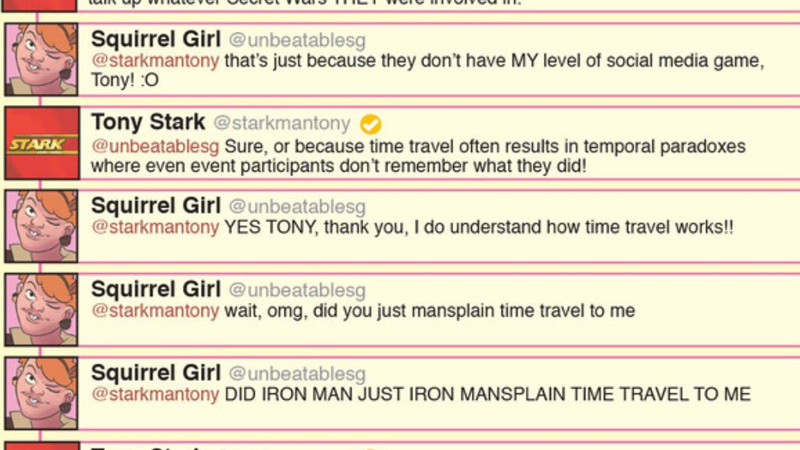 But even better is the fact that Tony Stark’s own Twitter—@StarkManTony—is real too, and mostly exists to interact with Squirrel Girl’s. Case in point, this scorching hot take Tony had today in Doreen’s mentions about... the Greek myth of Icarus. Canonically speaking, Tony Stark is meant to be kind of sort of dead/in a coma/walking around as an AI in the Marvel comics-verse right now, but reader, this Twitter conversation even manages to address that. Only the magic of Unbeatable Squirrel Girl can bring about moments like this. 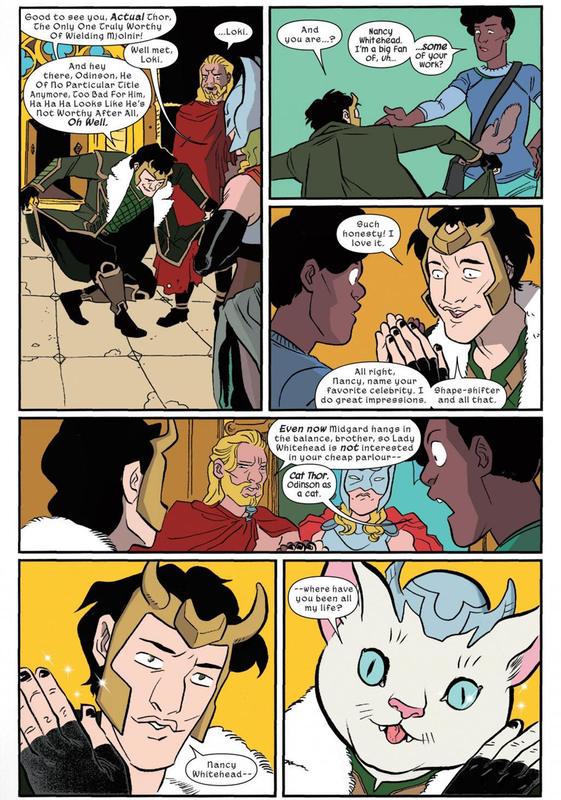 I love this comic and everything surrounding it so much, you guys.